Three students from Mary Baldwin University will participate in the 20th annual statewide collegiate Wells Fargo Ethics Bowl Feb. 10-11 at Roanoke College in Salem. Representing MBU on the debate team are Virginia Daniel, who serves as captain, Sarah Lawson, and Faith Parker, all seniors. Associate Professor of Philosophy Edward Scott serves as the faculty coordinator for the team. They have been preparing for the competition all semester, meeting at least twice a week to work on their cohesiveness and arguing skills on a variety of debate cases. They will compete head-to-head against other highly qualified student teams from Virginia’s 15 leading independent colleges and universities, deliberating case studies that highlight different ethical dilemmas. Organized by the Virginia Foundation for Independent Colleges (VFIC), the Ethics Bowl brings many notable individuals to serve as judges for the teams’ presentations, representing a variety of career fields including business, law, education, finance, journalism, and more. The Ethics Bowl’s style of debate focuses on the cohesive value of the argument that teams make. Two opposing teams could argue the same side of a topic, but the side that makes the better argument will walk away with the victory. The Ethics Bowl program will commence with an opening session at 2:30 p.m. on February 10 at Roanoke College, with the first matches scheduled for 3:30 p.m. On February 11, rounds three and four will begin at 8:45 a.m., and the final is slated for 11:20 a.m. The public is invited to attend the match sessions free of charge. The winning team will be announced at 12:30 p.m. on Monday. Hampden-Sydney College took home the Batten Trophy at the 2018 Ethics Bowl. “We aim to go into this competition with open minds, compassionate ideals, and a zeal to achieve victory,” said Daniel. 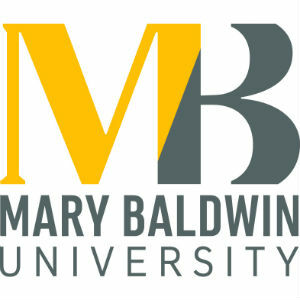 Founded in 1842, Mary Baldwin University is a small, coeducational university offering a range of degree programs from bachelor to doctoral. It serves a vibrant student population on its main campus in Staunton, Virginia; at its nearby health sciences campus in Augusta County; and online. MBU is a member institution of VFIC.